Website Pro Builder v3.1 is a combination offline Website builder and online content management system. Easily create a website without installing any other software on your PC or server, Website Pro Builder v3.1 does all the hard work for you and set-up everything you need to have online. There is no limitation on the number of websites you create with Website Pro Builder v3.1 or in number of pages in each project. Website Pro Builder v3.1 is also solution when you have to maintain several websites on different servers. You can control all your projects from same place. Our program supports you in generating the site you imagined, without limiting your creativity. You can use the web hosting of your choice (free or payable) to publish your Website Pro Builder v3.1 created website. 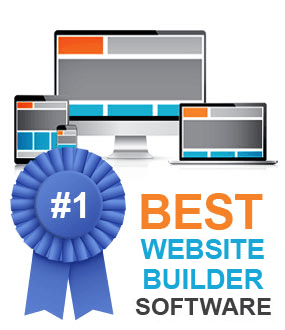 Website Pro Builder v3.1 is first and foremost a WYSIWYG web-editor platform. If you can use a word-processor you will be right at home creating websites in Website Pro Builder v3.1. There’s no need for graphical skills or HTML knowledge. You will be able to add modern features such as BLOGs, Calendars, e-Commerce, Google services, Guestbook, Slideshows, Counters and all to a commercial/professional standard. Of course if you are HTML/Java/php savvy then Website FlashBuilder lets you dive in the deep and completely customize your pages using any of these development languages. 1- You agree to my terms of service upon purchasing this software and all sales are final. 2- We are in agreement that you will get a digital item delivered. 3- You will not chargeback and not purchase this software without bank's consent and permission. 4- Future chargeback will be used against you as it is a serious offense of fraud.